Home » Appetizers » Red Lobster Lobster Pizza – you can make these quickly and easily. Red Lobster Lobster Pizza – you can make these quickly and easily. These are tasty little appetizer pizzas that can’t be beat. You can make these quickly and easily. These are so fresh tasting with chopped fresh tomatoes and fresh julienned basil. You don’t have to head out to the Red Lobster for this special pizza; you can make this one at home with this great tasting recipe. 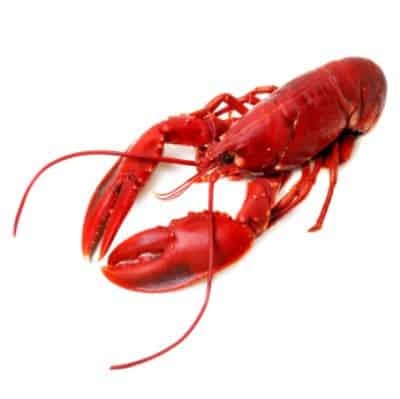 Do you enjoy recipes that taste just like the Red Lobster, we have many more from the Red Lobster. Make the well known Red Lobster Pizza at home with this copycat recipe. Heat oven to 450 degrees. Lightly brush entire topside of tortilla with garlic butter (edge to edge). Sprinkle Parmesan cheese over the garlic butter. After draining the diced tomatoes, sprinkle them evenly over Parmesan cheese. To julienne the basil, wash it and shake off excess water. Pick off leaves and stack on top of one another. Using a chef's knife, cut into 1/8" strips. Do not chop. Sprinkle evenly over the diced tomatoes. Make sure lobster meat is cut into 1/2"-3/4" chunks. Portion lobster meat, drain it and then sprinkle it evenly over the tomatoes. Sprinkle the Italian six-cheese blend evenly over the diced tomatoes. Refrigerate until ready to cook. Brush a pizza pan lightly with vegetable oil and sprinkle lightly with ground black pepper and kosher salt. When the oven is ready, place pizza on the pan and cook approximately four to five minutes. Remove from pan and cut into eight wedges. Squeeze fresh lemon over pizza for extra flavor and serve. Additional Tips: Be sure you drain the tomatoes and the lobster meat before sprinkling them over the pizza shell. Otherwise, your pizza will turn out soggy. Um… this is the EXACT same recipe that Red Lobster has publicly available on their web site. So, I kind of fail to see the point of this. But I found the Red Lobster Pizza Recipe here. Point being, shared in More places, makes it more available…. So thanks for sharing on this site..
Yep so you can enjoy this recipe any time. Maybe use a homemade pizza crust, or pilsbury ? Savanna – it would not have the same taste or texture as the tortilla. I used to work at Red Lobster – and they are wonderful! You have just wasted 2 ounces of lobster meat… on a tortilla??? Really??? You have never had this? You don’t know what you are missing!!!! This pizza is good. I normally eat half by myself as my entree.I don’t consider it a waste of 2 ounces of lobster. If just one person enjoys the recipe it is not a waste and apparently a few of us do enjoy it. The waste is repeating yourself three times in a row! Tell me about it Tina – Over Kill!